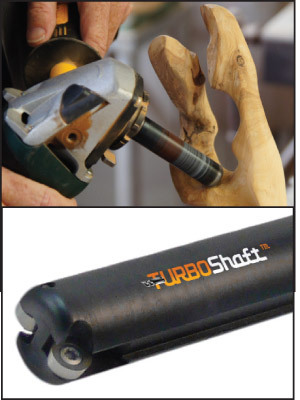 The Arbortech Turboshaft is shown above with the replaceable carbide cutters. It has a 20mm (3/4") diameter shaft with an adjustable depth of cut. It will fit most 4" and 4-1/2" angle grinders.